Home to WA's only tertiary Dental School, UWA has trained future dentists for more than 70 years. Taught by dedicated staff in state-of-the-art facilities, Doctor of Dental Medicine (DMD) students are trained for full registration in the dental profession. Following completion of this course, graduates will be able to register with the Dental Board of Australia as a dentist and enter the profession immediately. Students may pursue careers in private or public practice. Further postgraduate studies include the Graduate Diploma in Dental Public and Primary Health, Graduate Diploma in Forensic Odontology, Graduate Diploma in Health Professions Education, Higher Degree by Research Preliminary - Dentistry, Master of Dental Public and Primary Health, Doctor of Clinical Dentistry and Doctor of Philosophy (PhD). 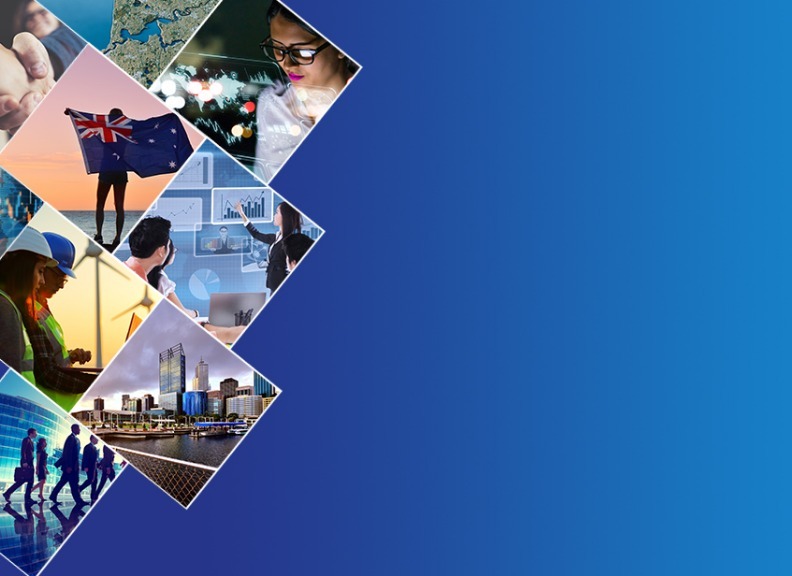 The UWA Dental School is also committed to providing quality professional development and research opportunities for graduates, and is pleased to partner with the Australian Dental Association (WA Branch) in providing high-level continuing professional development as part of the WA Dental CPD Committee. You'll be based at The Oral Health Centre of Western Australia, a high-tech dental teaching hospital and learning facility on the QEII Medical Centre campus. You can learn either by treating patients under close supervision by highly experienced and skilled tutors, or by observing general and specialist dentists treating a wide range of dental conditions. Successful graduates will be able to register with the Dental Board of Australia as a dentist and enter the profession immediately. The course consists of a total of 32 units within modularised streams covering comprehensive clinical care, Developmental & Behavioural Sciences, Diagnostic & Surgical Sciences, Restorative & Rehabilitative Sciences. DMD core modules cover fundamental dental and medical sciences. 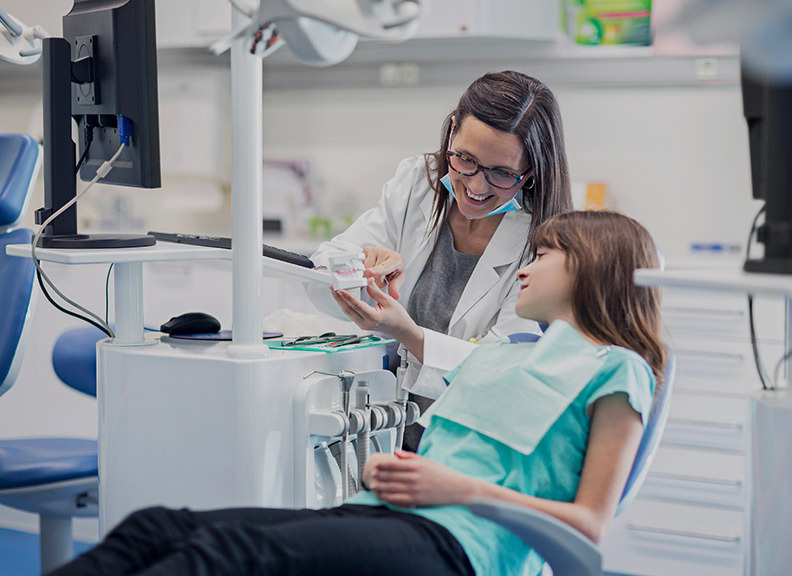 DMD clinical practice modules cover clinical dental sciences, including patient care, preventative and conservative dentistry, restorative dentistry and child and adolescent dental health. The course consists of a total of 32 units within modularised streams covering comprehensive clinical care, Developmental & Behavioural Sciences, Diagnostic & Surgical Sciences, Restorative & Rehabilitative Sciences. DMD core modules cover fundamental dental and medical sciences. DMD clinical practice modules cover clinical dental sciences, including patient care, preventative and conservative dentistry, restorative dentistry and child and adolescent dental health. 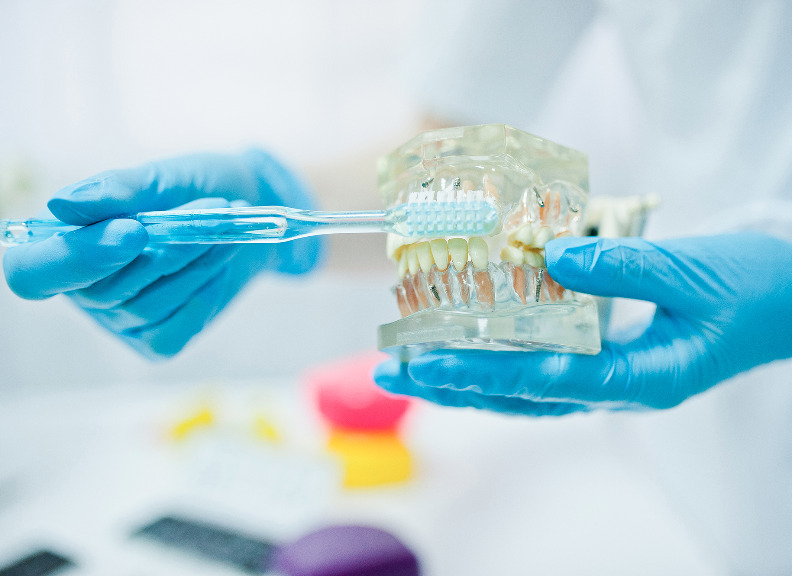 You'll have early clinical exposure with dental immersion activities on introductory concepts in clinical dentistry, pre clinical exercises including dental simulation from first year. In your third year you'll actively engage in a research project. In your final year, you'll undertake quasi-independent but supervised practice, which takes place inside and outside of the School with compulsory rural and private practice rotations. The school is equipped with a state-of-the-art digital radiology suite. The centralised production lab is fully equipped with Computer Aided Design (CAD)/Computer Aided Manufacturing (CAM) facilities and dedicated high spec computers in a Virtual Learning Centre (VLC) for students to undertake CA/CAM design. The VLC has full functional digital radiology and virtual microscopy facilitates. The course will commence at the end of January each year. Students will be expected to commit to an 08.00 to 16.00 daily schedule. The first year of study will be 45 weeks in total. 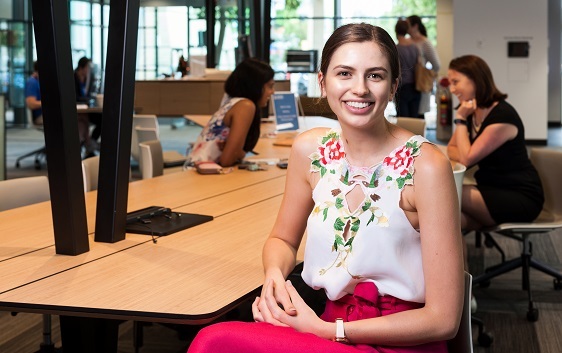 Students studying the Doctor of Dental Medicine have access to state-of-the-art facilities at the Oral Health Centre of Western Australia. The students are able to practice techniques on equipment like the dental virutal reality simulators before joining qualified dentists in the clinic to gain hands on experience. For students who have applied for 2019 entry into the Direct Pathway to Dentistry, and have sat UMAT (Undergraduate Medicine and Health Sciences Admission Test) in July 2018, nothing has changed. If you have a current application the information on the UMAT website still applies. For students intending to apply for 2019 for 2020 into the Direct Pathway to the Doctor of Dental Medicine, the test is changing. From 2019, for entry into 2020, all applicants to the domestic High Academic Achievement, Rural and Broadway School Leaver Pathways to the Doctor of Dental Medicine (DMD) must sit the University Clinical Aptitude Test (UCAT). UCAT replaces UMAT. UCAT assesses a range of abilities identified as important by university medical and dental schools for success in their programmes or courses, and later as clinician. The UCAT is a 2-hour computer-based test. Candidates will sit the test at Pearson VUE test centres located in Australia, New Zealand and some overseas centres. Full details of all available test centre locations will be published on the UCAT website when registrations opens in March 2019. The first sittings of the UCAT will take place in July 2019. The UCAT will be offered on a choice of dates throughout the month of July, rather than on one single date. 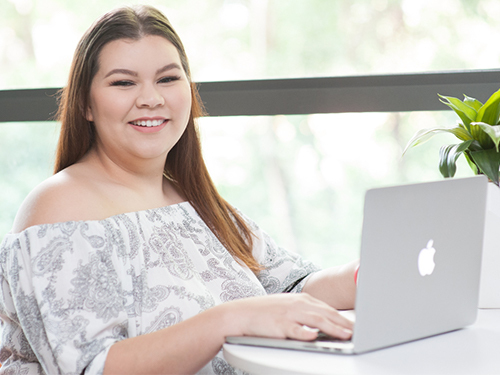 To sit the test during 2019 you will need to register for UCAT between 1 March and 16 May 2019 and book a test date, time and location for July 2019. Details of the test format, including how to register, are available on the UCAT website. Free, Comprehensive preparation materials, including an online guide, tutorials, question banks and practice tests will be available on the UCAT website in early 2019. All resources contained on the UCAT website are FREE. Candidates should be aware that whilst there are many commercial companies publishing books and offering coaching for the test (currently known in the UK as the UKCAT), ACER does not provide additional information to any of these companies or endorse the use of their materials. The Doctor of Dental Medicine is accredited by the Australian Dental Council, allowing graduates to practice in the profession immediately. The patient interaction is one of the many highlights of the Doctor of Dental Medicine course. Having clinical time at the Oral Health Centre of WA allows us to treat patients with a range of medical and dental conditions, while developing our communication, treatment planning, problem solving and technical skills to the benefit of their oral health. The cohort experience is also truly invaluable, as the camaraderie and support of dental students, both in my year and in others, brightens every day and really helps each and every one of us to face the challenges of the course. We are extremely lucky to have access to the cutting-edge digital technologies that have recently arrived at the School, including 3D scanning and facilities for the computer-aided design and manufacture of restorations for our patients.